Do you remember washing in a tin bath by the fire, using outside lavatories and not having a television? Did you grow up in the 1950s and were you a teenager in the swinging sixties? 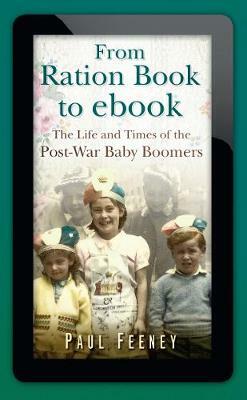 If the Festival of Britain, food rationing and the Queen's coronation are among your earliest memories then you belong to the post-war baby boomer generation. How did we end up here, in the second decade of the twenty-first century, when it all just seems like yesterday? In this fascinating new trip down memory lane, Paul Feeney remembers what it has been like to live through the eventful second half of the twentieth century. This nostalgic journey through an era of change will resonate with anyone who began their innocent childhood years in austerity and has lived through a lifetime of ground-breaking events to the much changed Britain of today. There are also some wonderful pictures to help jog our memories of bygone days.